Miss Piggy and Kermit will return to our screens in a new series of 'The Muppet Show' on ABC. The Muppet Show will be revamped for ABC with a little help from the executive producer and co-creator of The Big Bang Theory, Bill Prady. Prady, who worked on the original series, has already been working on the script and a pilot episode is already in production, according to reports. 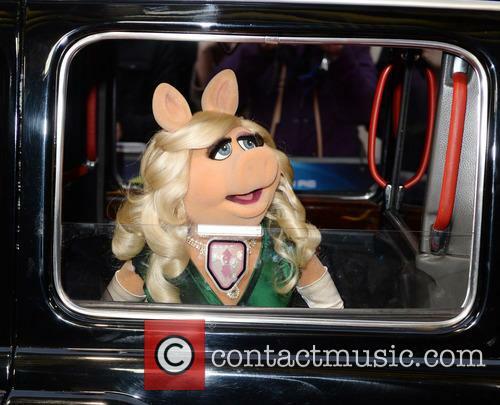 Miss Piggy will reportedly return for the revamped version of The Muppet Show. Read More: Bert & Ernie Spark Equality Debate After Bakery Refuses To Create 'Support Gay Marriage' Cake. The pilot episode will reportedly be shown to advertisers at ABC's Upfront Presentation in May. Sources suggest, if the pilot impresses crowds at the Upfront Presentation, it will go straight to series. Reports suggest the pilot will be set in ABC's offices and see executives and all our favourite Muppets negotiating a deal for a new series. Kermit and Miss Piggy's relationship is seemingly on the rocks and the executives have to convince the two to work together. A number of celebrity cameos will also feature. The pilot will reportedly be filmed next weekend. ABC and Jim Henson, which is owned by Disney, are producing the project. Bob Kushell, who has written for such shows as Anger Management and 3rd Rock From the Sun, has been signed on to co-write. Randall Einhorn, best known for his work on Wilfred, is reportedly in talks to oversee the project. The original series of The Muppet Show aired from 1974 until 1981. The Muppets have continued to be popular and have managed to capture the imagination of new audiences since they first appeared on Sam and Friends in 1955. Most recently we've encountered the Muppets in two feature films, The Muppets in 2011 and Muppets Most Wanted in 2014. THR first reported the news. Read More: Not Even Ricky Gervais Could Steal The Limelight From Those Muppets. 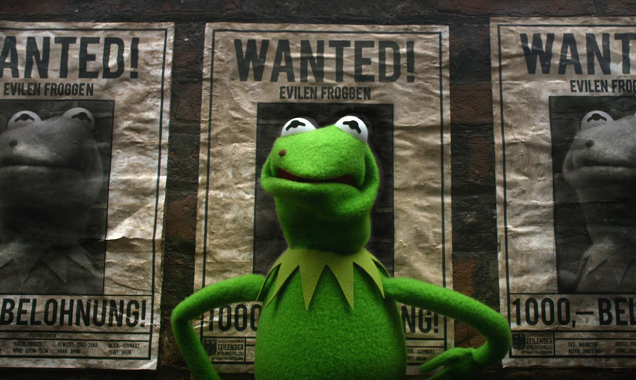 Kermit in The Muppets Most Wanted. Liam Hemsworth Joins 'The Muppets' As Miss Piggy's New Man!